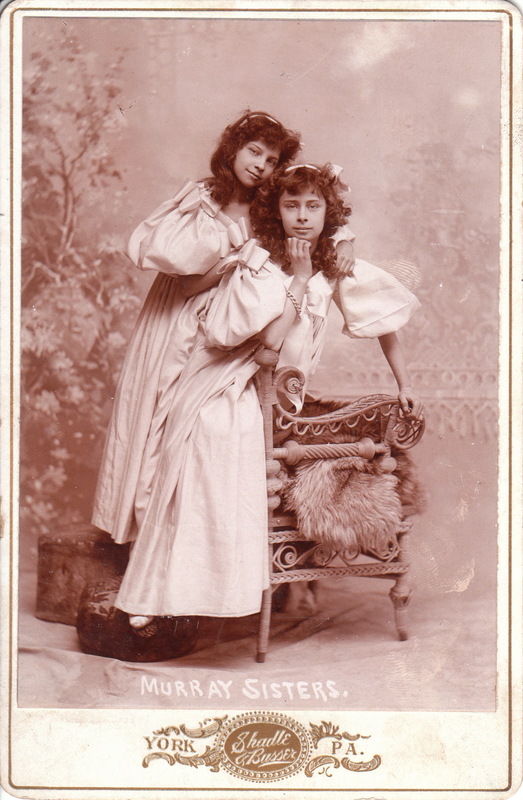 The “Murray Sisters” assume an adorable pose at the Shadle & Busser studio in York, Pennsylvania. The girls appear to be entertainers, likely singers, dancers, or a combination of both. The sisters were probably teenagers at the time of this portrait. Research yielded no identifying information about these photogenic girls. A casual review of theater periodicals (1908-1913) uncovered an act called the “Murray Sisters” but it is not certain that they are one and the same as the girls in this image. This act toured the country and the sisters were described as operatic singers. The oldest sister was named Marion and the youngest was named Vic or Victoria. To learn about the Shadle & Busser studio and to view other photographs from their studio, click on the category “Photographer: Shadle & Busser”. 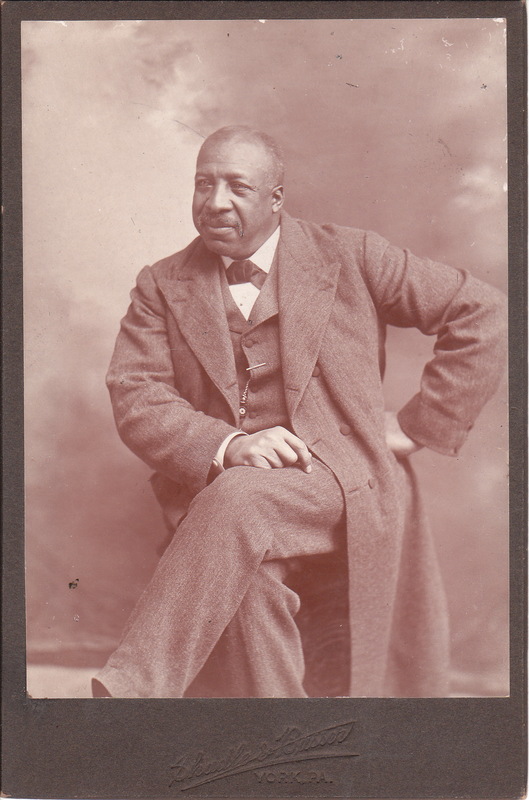 This photograph features an older African American gentleman. He is nicely dressed in fancy clothing. Note his long coat. The gentleman appears to be displaying a friendly half smile. He has one hand on his hip; surely, he was told to pose in that manner. The reason for such instruction is not clear. The photographic studio that produced this image is Shadle & Busser of York, Pennsylvania. James Monroe Shadle was born in 1861 in Freeport, Pennsylvania. Oscar W. Busser died of Brights Disease at age 61, in 1921. The studio that bared their names was located at 20 South George Street (1887-1902), 44 South George Street (1903-1925), and 58 South Beaver Street (1925-1936). All of these locations were in York. To view other early photographs of African Americans, click on the category of “African Americans”.